It’s that time of year again when I start posting year-end “The Best….” lists. Coincidentally, this one is also the eight-hundredth “The Best…” list I’ve published! You can see them all here. I figured it was appropriate to make number 800 one that is likely to be the most popular post that I’ve published since I’ve begun this blog — the annual one highlighting The Best Web 2.0 Applications For Education. * completely browser-based with no download required. It’s possible that a few of these sites began in 2010, but, if so, I’m including them in this list because they were “new to me” in 2011. I would call Thoora a tool to create a daily personalized virtual newspaper, and you can read more about it at a TechCrunch post. The interface is clear and clean, and easy to use. Qrait is a brand new tool that is not quite open to the general public yet, though I received an invitation two days after requesting one. It describes itself as “A realtime curation platform designed to fulfill the needs of content curators and reduce information overload for the rest of us.” I don’t quite understand what that means, but I do see that it can be used to easily create Internet Scavenger Hunts and Webquests. It lets you create a “molecule” filled with “atoms” (the call each topic a molecule and atoms the different parts of the collection). You can insert a website and notes into each molecule, which will also show a screenshot or even a video. The task for each can also be described. And it’s easy to move the “molecules” around. And, then, best of all, you can embed your whole “molecule” wherever you want, including on a class blog or website. Posterbee is a new web application that basically lets you very easily create your own private social network. In many ways, I think it’s similar to Posterous’ new “Groups” feature — you can add content to it several ways, including directly or via email. I think Posterbee has a nicer design though. In addition, when you add a link, it just shows you the key content in the link without anything extraneous, including leaving out the ads. Broadcastr is a new site that lets you record audio for up to three minutes and then “attach” it to a map location. It also gives you the url address of your recording. This could be a great resource for English Language Learners and all students. They could write, and then record, reflections from a field trip, describe their home countries, talk about something that happened in a particular place in a work of fiction, and then attach it to that geographical location. In addition to being there for an “authentic audience” (someone other than their teacher and classmates), the link to the recording can be posted on a student/teacher blog or website. Magisto is a new Animoto-like service that lets you upload several short videos and it then somehow “recognizes” the most important parts and turns it into a magically-produced one minute video. It’s still invitation-only, but I got one seconds after I requested one. Veengle is a neat tool that lets you clips sections from YouTube videos and create a playlist to show them all together. Imgur is a super-simple photo-sharing site that you can use to upload photos or insert image url addresses. It can come in particularly handy in the classroom because of it’s ease in creating albums where you can title individual photos and write captions — all without registering. Students can categorize photos and describe them. Wordlings lets you create word clouds in various shapes, which you can then embed (or get a link to it). Projeqt is a very new application that lets you create what you could call interactive slideshows. In some ways, I might describe it as a more sophisticated Prezi that’s easier to create and less confusing to watch. Stories Unbound is a super-simple application that lets identify a point on a world map and write a short story related to it. It’s a very clean interface. Channel.me is a new application that lets multiple people view the same webpage and chat about it. I guess that could be useful for students who are researching topic together, but what really has be excited is the ability to easily annotate websites with virtual sticky notes that can be placed on the site — whether or not you using the group text feature. Jux looks like a great way to create nice-looking websites. It’s free and has a “drag-and-drop” interface, plus you can grab images off the web. Popplet is a new web app that is like Wallwisher on steroids. You can make an online “bulletin-board” with virtual “post-its” (called “popplets), just like in Wallwisher. And, except for the fact you have to register to use it, Popplet is just as easy and, in some ways, easier to use with a lot more functionality. With Popplet, you search for images and videos on the Web directly within the “popplet” instead of copying and pasting the url address (as you need to do in Wallwisher). You can draw within the “popplet” and it doesn’t appear to have an limit on the number of characters you can use. You can connect the “popplets.” You can also embed the whole thing. At Isle Of Tune, you create music by creating a city. Yes, that’s right, you “drag-and-drop” different parts of a city — homes, cars, trees, etc. — and each one has a musical tone. Then click “Go” and the car prompts the different elements to do their thing. No registration is required, and you’re given the url address of your creation to share. As a bonus to English Language Learners, the different parts of the city are labeled, so students can pick up vocabulary at the same time. Plus, they can describe their musical creations. Live Minutes is new online conferencing app that is entirely browser-based and it doesn’t even appear you have to register in order to use it. You’re immediately given a unique url address for your conference that you share with the people you want to connect with — and you can share audio, a virtual whiteboard, documents, etc. You can’t share video right now, but they say that feature is coming. Disapainted may be just about the easiest tools out there to make simple “stickman” animations. Registration takes less than twenty seconds, and you are given a link to your creation. tildee lets you very easily create a simple step-by-step tutorial for just about anything. You can add text, maps, videos and photos (unfortunately, though, you can only upload photos — not grab them from the Web). And you don’t even have to register for the service. Slidestaxx is a new tool for creating online slideshows. The nice feature about it is that it’s designed to easily grab videos, images, and websites (among other things) off the web to incorporate in the presentations. In fact, I may be wrong, but it doesn’t even look like you can upload anything from your computer. That’s fine with me, and my students. It would be nice if they were a little clearer about how to use it — it seems you have to “create” a slideshow first before you add anything to it but, again, I might be missing something. Once you figure that out, though, it’s about as simple as can be to create an embeddable show. Write Comics is a super-simple tool to create comic strips without requiring any registration. educaplay looks like a great free (as far as I can tell, at least) tool where you can easily create a ton of different kinds of educational interactives that you can link to or embed in your site. These include Riddles, Crosswords, Wordsearch Puzzle, Fill in the texts, Dialogues, Dictations, Jumbled Word, Jumbled Sentence, Matching, Quizzes, and Maps. For at least some of the them, including dictation, it provides the ability to record audio. Web Doc is a new sorta’ blogging platform that makes it super simple to write individual “docs.” I especially like its ability to search the Web for images within your “doc” and just post it into what you’re writing. It also lets you add a speech bubble to the photo. It has tons more features, including providing an embed code. One of its neatest features is the ability to for people to create their own “Web Doc” as a comment. The problem for classroom use, however, is that it doesn’t appear to allow moderation for comments. So, I think for most teachers, the best option for now (until they add that feature) is to use one of their other nice features — the ability to disable comments. However, since they are embeddable, it would certainly be easy enough to embed it in a post on an Edublog, for example, and just have people leave comments there. News 360 lets you easily create a personalized newspaper. It’s been around for a bit, but it appears to only recently begun allowing registration by email — I hadn’t written about it before because Facebook log-in would not have worked with schools. One difference it appears to have from several of the other personalized virtual newspaper sites is that it’s “smart.” In other words, it will analyze your Google Reader or Facebook feeds to determine interesting stories in addition to letting you determine your subjects of interest. Scoop.it lets you first identify a topic. Then, it continually finds items on the web related to that topic in a nice interface. Then, with one click, it lets you “scoop it” into your own personalized newspaper (that’s what I’m calling it, not them) which you can then share. It’s an ongoing process. Thumbscribes lets you create private groups to collaboratively create a story. That private option makes it stand-out from many other similar sites. Little Bird Tales lets you easily make slideshows where you can add text and, more importantly for English Language Learners, provide an audio narration. On nice touch is that you can virtually paint/draw artwork in addition to uploading images (unfortunately, the site doesn’t have the ability to grab photos off the web by url addresses). It’s free to use, but I’m unclear on if there will be an eventual cost to use the site. It appears to have an upper limit on the number of shows you can produce. When In Time is a new timeline creator that looks very easy to use. Knovio lets you upload a PowerPoint presentation, record a presentation with your microphone and webcam, and then it’s done! It’s free, and it is not open to the public yet, but I received an invitation about five seconds after I requested it. Corkboard Me is sort of Wallwisher-clone that is even simpler to use but has fewer features. You just paste virtual sticky-notes on a virtual bulletin board. One nice feature it has is by pasting the url address of an image link, the image will show up on the sticky note. No registration is necessary. GeoTrio lets you create a virtual tour of just about anyplace on a map. You type in addresses or locations and easily create multiple “stops” that show the Google Street View snapshots of the area. You can also upload your own images. But that’s not all. What really makes GeoTrio stand out is the ability to easily make an audio recording for each stop on the map. If you found this post useful, you might want to look at the 800 other “The Best…” lists and consider subscribing to this blog for free. 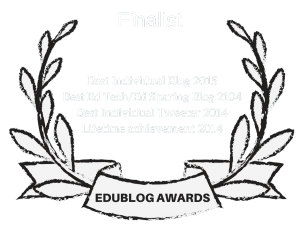 PreviousNominations For Edublog Awards Now Open! I probably don’t tell you enough Larry – but I REALLY appreciate your content! Thanks for your site. I’m a Spanish language teacher in Argentina, and I get lots of ideas for my classes. Unfortunately, not all apps are available in Spanish (this is a drawback for some students), but this also creates opportunities to reflect on languages and the Web. I liked the idea of Thoora to create a virtual newspaper, but it seems that it went off-line recently (December 15th). Yes, you’re right about Thoora. You can find a bunch of similar sites,though, on my The Best list about making online personalized newspapers. As always some very interesting things here Larry, thanks. However, can I take issue with the idea of “you can only upload photos — not grab them from the Web” being an “unfortunate” thing? Surely we should be teaching learners NOT to go steal images from wherever they like, without permission or any form of accreditation? I wasn’t suggesting that photos be grabbed without providing credit where they were found, which is why I have a lengthy “The Best…” list describing usable copyright free images. Having the ability to use a photo from the Web makes any tool much more user-friendly for students. As always, thanks for your fantastic lists. I am interested in Wordlings because of the variety of shapes but was not able to reach the site at all. The link goes to a completely different site. Can you help? Apparently, sometime over the past few days Wordlings went off-line. Thanks for pointing that out to me. I’ve noted it in the post now. Just encountered your site and really appreicate it. I am a High School History teacher in Brisbane Australia. Thanks Larry. This has been great. I added a few of your links to my web2.0 mindmap for teachers and students. 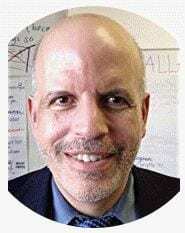 which will feature 365 blog posts from around education and mooc worlds As thousands of people are choosing to learn through massive open online courses in and around the web, this blog will tell a story of how new ways of connecting with each other online are irreversibly changing education. It will also be published as a shared artifact of everyone’s experiences in print and digital calendar format at the end of the year. We would love to include your post with your kind permission. The calendar blog is using the http://creativecommons.org/licenses/by-nc-sa/3.0/ unported licence. Would this cause any conflicts with your current publishing permissions? You’re welcome to include a link to the post, but not to reprint the post.